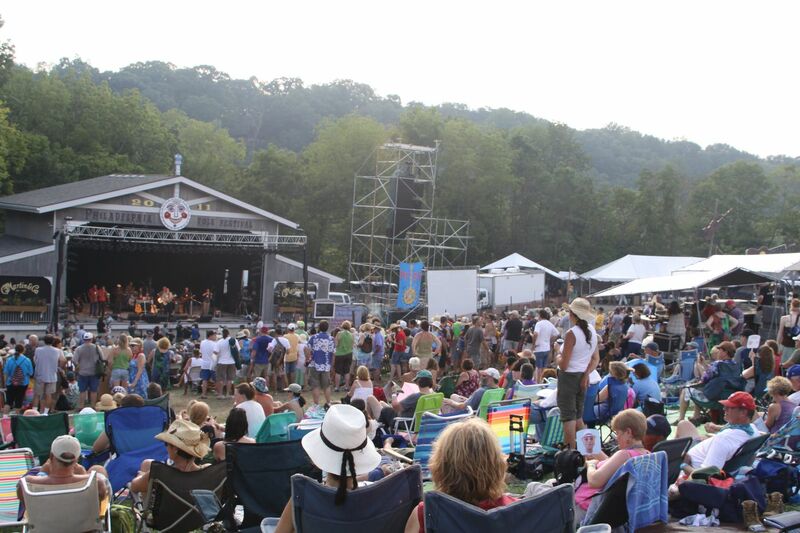 The mainstage at the Philadelphia Folk Festival in 2011. This Saturday Night Live star was first discovered on America's Got Talent, where her uncanny impersonations made an impression. Tickets for SNL are virtually impossible to come by, so it is a treat to see the star live between seasons. Rapper Playboi Carti performs at Made in America in 2016. The Atlanta rapper of the 2017 hit "Magnolia" comes to the Fillmore. Die Lit, the mumble rapper's first full album and first production since his eponymous 2017 mixtape, dropped in May. For those more interested in swaying to the strums of an acoustic guitar than bopping to a rap beat, head to this annual festival put on by the Philadelphia Folksong Society. This year's lineup includes headliners Patty Griffin, Valerie June, and Wynonna & The Big Noise. Aug. 16-19, the Old Pool Farm, Upper Salford Township. $25-$515. 215-247-1300, pfs.org/philadelphia-folk-festival. Drink with The Thinker at the only museum outside of Paris dedicated to the father of modern sculpture. The Rodin will welcome guests for cocktails in the sculpture garden and offer extended museum hours. The event has a pay-what-you-wish policy, similar to other after-hours events at Philly museums this summer. The title of the comedy legends' show is An Evening You Will Forget for the Rest of Your Life, which is more than a little bit falsely modest. Rolling Stone likens this show to the comedy version of seeing, well, the Rolling Stones, and now the classic has finally made its way to the Mann.